We love to help people identify their gifts and show them how they can turn their strengths into meaningful action. So whether your gifting is a welcoming smile, brewing hot coffee, or discipling the next generation, we have a place for you! To begin the process of joining Team Radiant, please sign up to attend an upcoming Be Radiant class. We believe that every person is created by God on purpose, with purpose, and for a purpose. We want to help you discover your practical and spiritual giftings so that you can put your strengths into action by serving in our church community. Just as individual parts of our physical bodies operate uniquely in order to give life to the body as a whole, so the body of Christ operates in many different ways to bring completion to what we are made to do together as the Church. Our creative team is always looking for talented filmmakers, photographers, designers, writers and artists who want invest their talents in the Kingdom. If you are a gifted creative who wants to serve the vision and mission of Radiant Church, then this area of service may be for you. Our guest services team is made up of greeters, parking directors, ushers, cafe baristas and servers, security and medical personnel, and bookstore staff. This team is responsible for making our weekend services, prayer meetings, and special events happen week after week. This team is made up of audio engineers, camera operators, screens and lighting operators, musicians and singers. This team helps keep Radiant Church running smoothly and looking beautiful. 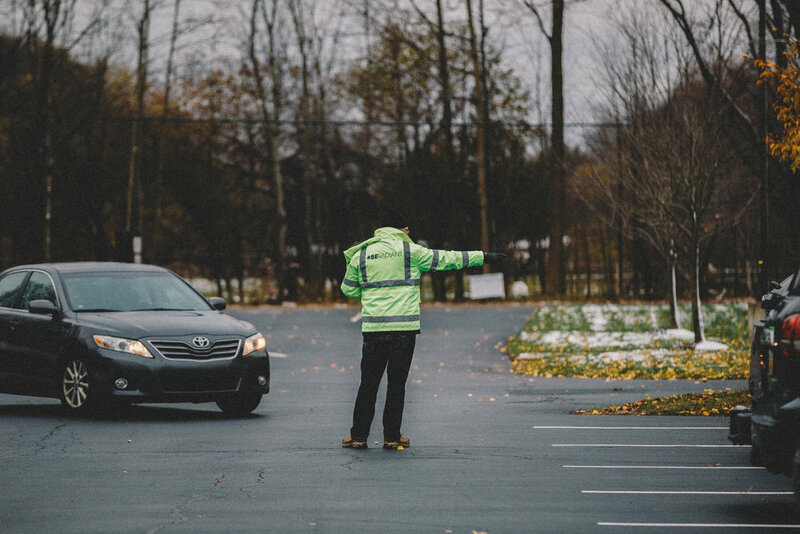 They work behind-the-scenes to help maintain Radiant Church properties, including our landscaping and facilities. The administrative team serves throughout the week in our staff offices. The available opportunities to serve on this team include counting and processing tithes and offerings, manning the reception desk, data entry, and serving on miscellaneous projects throughout the year. This team serves alongside our events coordinator by assisting in church-wide and community-related events. This team partners with the families of our church by serving in one of the following areas: Early childhood (6 weeks to 6-years-old), elementary (1st to 4th grade), Radiant 56 (5th and 6th graders), Radiant Students (middle and high school), Collective (18 to 29-year-olds), or our special needs program. Our discipleship team serves in a wide variety of areas in our church and local community. The available opportunities to serve on this team include hosting and leading community groups, mentoring and teaching, serving as a prayer partner during seeking services, connecting with family and parenting groups, and by packing weekend meals for children struggling with poverty and hunger in our community.